Ben Carson is well-known for saying plenty of crazy, unfounded, and just plain wrong things. But his track record as a neurosurgeon is well-respected. The man is, after all, a star surgeon whose feats in the operating room included the only successful separation of twins joined at the back of the head and the first neurosurgery on a fetus still in the womb. simply drill a hole in your head, stimulate your brain with electricity, and make you recite word-for-word a book you read decades earlier. Uh, that is not possible. 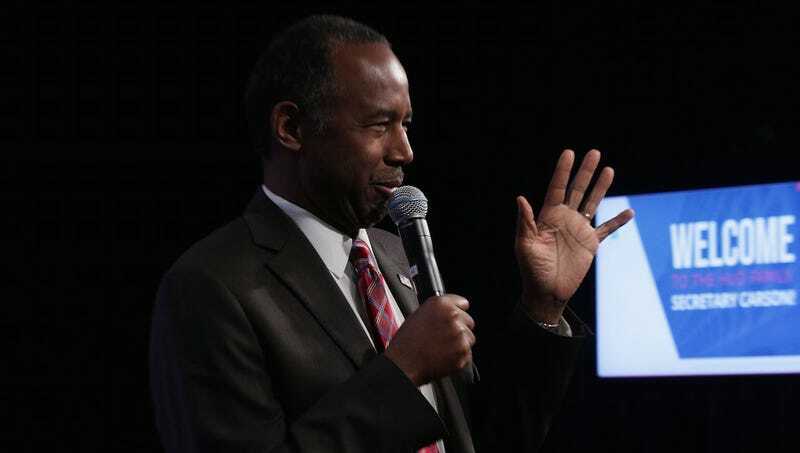 Carson, it seems, was trying to make a point about the amazing abilities of the human brain—and it is amazing, in addition to being so complicated that we still don’t understand a whole lot of detail about how it works. For starters, neuroscience is not quite advanced enough for a surgeon to even know which area of the brain to stimulate to achieve such a desired effect. DARPA, the Department of Defense’s research arm, currently has a project in the works trying to achieve exactly what Carson is talking about, but so far, all it has achieved is success in implanting memories in mice. The project, dubbed Restoring Active Memory, hopes to eventually also allow patients to recall memories once lost. But even if they succeed, it’s likely that newer memories will be much easier to recall than older ones. It would still be difficult, if not impossible, to recall things like a long-forgotten book that was read years earlier. “Using electrodes placed in the human brain to implant memories or to recall forgotten memories is simply not possible at this time,” Darin Dougherty, the director of the Division of Neurotherapeutics at Massachusetts General Hospital, told Gizmodo. Forgotten memories may still be in your brain, but its unclear if technology will ever allow us to access them. It certainly can’t right now. The totally unscientific brain science lesson wasn’t Carson’s only blunder while addressing his employees. Carson also referred to slaves as “immigrants,” which as you can imagine was not exactly appreciated by groups like the NAACP. But Carson’s remarks on brain stimulation were concerning, especially because he was speaking on the one topic that he actually does have significant knowledge and authority on. Ben, we know it’s been a while since your med school days, but you might want to brush up on your neuroscience before you step in front of a crowd to talk about brains. Oh, uh, and while you’re at it, maybe take a look at the history of slavery, too.